Scott Maclay died in a motorcycle accident on Monday, Sept. 3. 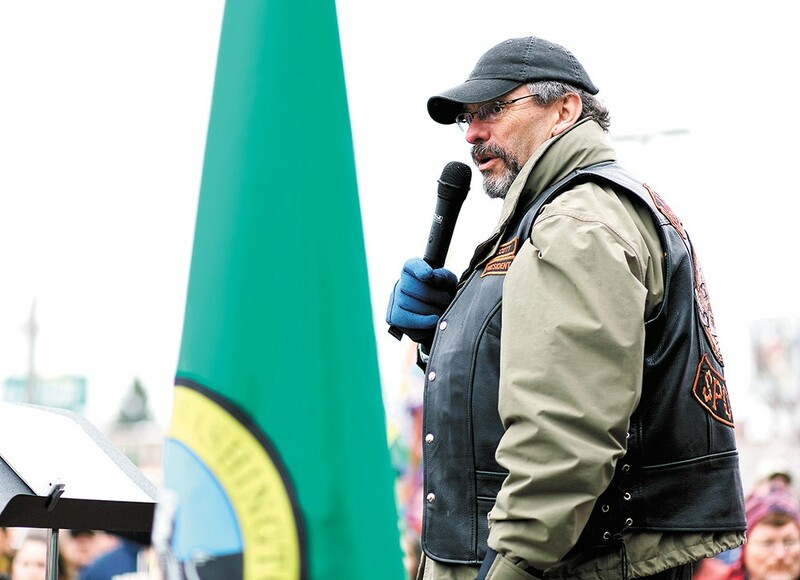 Scott Maclay, the motorcycle club leader who changed his name to DumpOzzie Dot Com during his political challenge to Sheriff Ozzie Knezovich, died in a motorcycle accident Monday, Sept. 3. Benewah County Sheriff Dave Resser told the Spokesman-Review that Maclay had fishtailed on loose gravel while driving his motorcycle on Highway 3 south of St. Maries, Idaho, hit a guardrail and fell down an embankment. Maclay, a vocal conspiracy theorist and critic of Knezovich for more than a decade, had clashed publicly and sometimes dramatically with the sheriff, his ex-wife and local reporters. In particular, Maclay seized upon the death of 15-year-old Ryan Holyk, who was struck in 2014 by a sheriff's deputy's patrol vehicle, to argue that Knezovich was "a corrupt and murderous sheriff with innocent blood on his hands." Eventually Holyk's family gave Maclay a cease-and-desist letter. Knezovich says a number of sources contacted him, worried that Maclay was threatening to kill him. Most recently, Maclay accused this Inlander reporter of being a "murderer" for not being more suspicious of the sheriff's actions. Local truck driver Jackie Murray, meanwhile, says she's still in denial about Maclay's death. She says she became friends with Maclay during her unsuccessful attempt at passing an initiative to dismantle the city's prohibition against asking about immigration status. She described "him crying on my shoulder from time to time" and her doing the same with him. She says they went to church together. She teased him about his "old lady" motorcycle. She says he's a good man. She says she'd even considered running against Knezovich if Maclay didn't. "I was willing to take on the world and tilt at windmills," Murray says. "And Scott definitely was too."